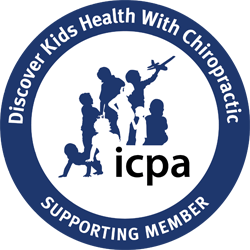 On this website we cannot give a complete picture of Chiropractic, but we will introduce you to Chiropractic and tell why we do what we do. Chiropractic may be new to you. And like anything new, many questions arise. Here are just a few of the most common questions people have about care here at OHIO Specific Chiropractic. If you have any other concerns or want further explanations of the ones below, please feel free to contact the office through email or phone. A: Chiropractic is a science by which the doctor locates and removes a cause of DIS-EASE. For every DIS-EASE, there is a cause. As long as you have a cause you will have a DIS-EASE. Removal of cause results in removal of DIS-EASE. That sounds reasonable, doesn’t it? You use the same principle every day in your home, at work or at play, and it works. For example: You are in the yard watering your lawn with a water hose and a rock falls across the hose. It may interfere with the flow of water to where there is only half of the original amount coming to and out of the nozzle. Do you work on the nozzle? No, you go back down the hose and remove the cause, the rock. That seems to be the simple, ordinary thing to do in the case and it will also work in your health problems. That is what Chiropractic is about, locating and removing the cause. What follows is Health. A: DIS-EASE is a Chiropractic term meaning "not having ease; or lack of ease." It is a lack of coordination or order within the body. The function of each tissue cell in your body is its ordered effort for the benefit of the body as a whole. Your body is a community of cells ordered together to follow directives to produce harmonious optimal health. In Chiropractic, ease is the entity, and DIS-EASE is the lack of it. The proper transmission of mental impulses are necessary for proper function to take place. Interference to this transmission will deductively cause disorder of the tissues to result. This term is mistakenly replaced with "disease" by those who have confusion or limited understanding of Chiropractic. Disease is a term used by medical doctors for sickness. In medicine, disease is the entity, and health is the lack of it. Q: WHAT IS THE CAUSE OF MY DIS-EASE? A: Suddenly you find yourself ill. Why? Some part of your mechanism has failed to function normally. Let us see what is causing this function to fail. Function fails because current fails. That is the reason normal flow of current is interfered with. The current fails because something has interfered with its transmission. The only place one can find this interference is at the spine in the upper neck region. Here we find two vulnerable little bones, called ATLAS and AXIS, either one or both pressing on nerve fibers, stopping normal flow of nerve impulses which you call LIFE. This changes electrical frequency which causes function to fail in organs or tissues receiving it. This is called a VERTEBRAL SUBLUXATION. When this interference is found in you, cause of your illness is definitely established. Our job now is to correct the cause. AGAIN WE REASON: Release interference so current does not fail and function will not fail when current is normal. Q: HOW DOES CHIROPRACTIC FIND THE CAUSE? A: The Chiropractor has to find cause before he can correct it. Knowing that cause is an interference to normal flow of impulses from brain to tissue, then it is the job of the Chiropractor to find this interference. The Chiropractor has an instrument called the NEUROCALOMETER which determines where interference exists and what degree it exists. A recording is made of your spine with the NEUROCALOMETER to ascertain the total number of readings. When location of interference is established, spinographic X-RAYS are taken which virtually act as blueprint negatives. These confirm the neurocalometer findings by revealing exact malposition of ATLAS or AXIS and recommend to the Chiropractor correct manner in which to re-position vertebra. If a watch maker didn’t know what was inside of a watch, would you care for him to work on your watch? For that same reason we take spinographic X-Rays. We have to know what exists inside the body if we want to do our job right. We are in the business for your health so we want to do the RIGHT THING in the RIGHT WAY and at the RIGHT TIME. Q: DOES CHIROPRACTIC ALWAYS WORK? A: No, Chiropractic doesn’t always work. The same as the water hose situation: If the rock caused too much damage to the hose then the removal of the rock is not going to make water flow freely. Or, if you keep twisting or pulling on the hose it may interfere with the flow. The same holds true in your own body. The Chiropractor may remove the cause, but there can still be too much damage done to restore that body to perfect health. Also the same as twisting or pulling the water hose, if you don’t cooperate with the Chiropractor and allow correction to take place you shouldn’t expect complete health. Chiropractic will work, does work, and has worked. It will restore health if there hasn’t been too much damage and you cooperate. Q: DO I GET ADJUSTED EACH VISIT? 1. How much damage has been done? 3. How long patent had disorder? 4. If interference is kept removed. 5. Patient’s cooperation with Chiropractor. No two spines are alike and the neurocalometer pre-determines whether a nerve pressure or interference exists. If it does, you receive an adjustment. If the instrument indicates no pressure, nothing will be done because that is exactly what the previous adjustment accomplished. If you have to be adjusted again, that means that pressure returned. Pressure has to stay out if health is to be the result. IT IS NOT HOW MUCH WE DO, BUT HOW RIGHT THE LITTLE IS THAT WE DO. Q: WHY MUST I KEEP GETTING CHECKED? A: People lose sight of the objective they are trying to reach when they ask this question. They think they are not getting enough for their money if not adjusted each visit. People are "adjustment conscious" instead of "health conscious." Health is the objective. Results are what you want. 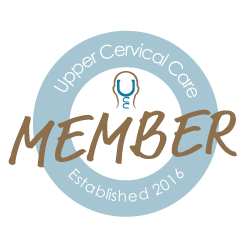 As Chiropractors, we look farther than just today or tomorrow. In order to get you well and keep you well, we know just when you should be adjusted and when you should not. Furthermore, adjustments are not what you are paying for. You are paying for the prospective of getting well. You travel a bitter road from health to sickness and from sickness to health. You will have reactions, and you will retrace and even suffer to get well. Familiar and distressing experiences may occur- but this time on the constructive side of things. YOU ARE ON THAT ROAD TO HEALTH. Q: IS THE ADJUSTMENT ALL I RECEIVE? A: Yes, Chiropractic is an exclusive process. We know an asprin will somtimes kill a headache, but it is doing just the opposite of what we are doing. The asprin blocks nerve flow whereas we are restoring nerve flow. Do you prefer a blocked nerve flow and still have your trouble or would you rather restore nerve flow and have health? Health, of course, that is what you are seeking or you wouldn’t be reading this website. WHEN AN ADJUSTMENT REMOVES CAUSE OF DIS-EASE AND HEALTH FOLLOWS, WHY DO MORE? Q: IF READINGS ARE GOOD WILL PAINS LEAVE? A. The adjustment is unique and singular to the Chiropractic profession. Chiropractors are the only healthcare professional trained to locate, analyze and adjust vertebral subluxations. An adjustment involves a quick, light and specific force applied to the misaligned vertebrae that is producing the nerve interference. The inborn adaptive response of the body to that force then makes a specific repositioning of the vertebrae to its correct position, removing the pressure interference. Q. What if I feel OK? A. Like most people, we have been programed to only go to the doctor when we are in some type of pain. A vertebral subluxation can present as an ache or pain in any part of the spine. More subtler than that though, it can present as a simple skipped heartbeat once in a while, a bout of indigestion, or rapid breathing. Unfortunately, most of the time, a subluxation shows no symptom at all- just depleted function or chemical imbalance. Of the 400 trillion nerve fibers of the body, less than 10% of them actually transmit pain sensation. I don’t want to discredit pain as not being a factor; it’s just not the biggest factor. A. Here at OHIO Specific Chiropractic, we don't bill insurance directly. Because this procedure is in no way similar to other chiropractic or medical treatments, a cash case-by-case system has been put in place that rivals insurance company deductibles and programs. When comparing “paying out of pocket” to that of the consistently increasing deductibles and ever changing insurance coverage plans, it is quick to see that a cash plan is beneficial to facilitate your healthcare, not your “sick care”. Please contact our financial personnel for further details.